Plumbing fixtures are often guaranteed for 10 years or more. The major manufactures have 800 numbers for technical support. I've found all three of the following manufacturers will help you diagnose your problem and will send you an amazing array of repair parts free. If you have to pay, you will be sure you're using authentic factory parts, and the price & shipping are reasonable. I've quit buying third party parts for plumbing fixtures. You don't save much money; plus they sometimes don't work right and you don't know why. As far as support goes, from my experience, Delta and Price Pfister have been both friendly and helpful. Moen was not friendly and not particularly knowledgeable, but they did send free parts. Note: My most recent call to Delta got a less than pleasant or helpful person. 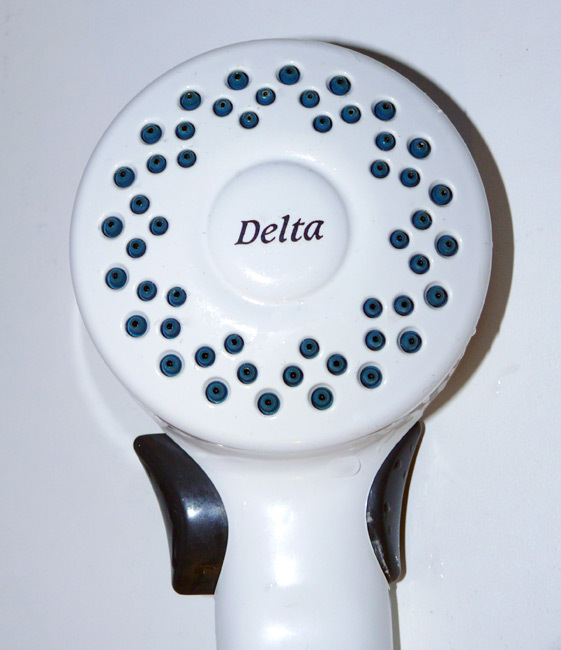 I had a Delta shower head that had failed very much too early. I emailed Delta about the problem and they gave the following ironic reply: "I am sorry to hear that you have experienced problems with a Delta shower head. Unfortunately, Delta Faucet Company does not produce that showerhead." It is clearly and boldly emblazoned with the word Delta (click for photo), and their first sentence above admits it's a Delta product, yet they disavow responsibility for it. As for the products themselves my experience with Delta products has not been good. My experience with Moen products (not their support) has been much better. And Price Pfister products are somewhere in between. When you call support and the tone jail asks if you want to order parts or speak to a technical support person, you want the person. If they don't offer a person you can sometimes get to one by pressing '0'. You can also get to one by calling her a fink (No, no! Old joke, old joke. Anybody remember Rodney the nerdy knight? Too long ago, aye. ).